Cathy Aaron was born in Jacksonville, FL. 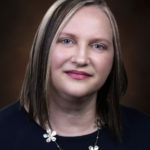 She received a Bachelors in Chemical Engineering from Georgia Institute of Technology and a Master of Health Sciences in Physician Assistant Studies from the University of South Alabama. She is a Physician Assistant Certified by NCCPA (National Commission on Certification of Physician Assistants) and member of FAPA (Florida Association of Physician Assistants). Cathy Aaron has been a practicing Physician Assistant in Pensacola since 2008 and with Gastroenterology Associates since 2017.